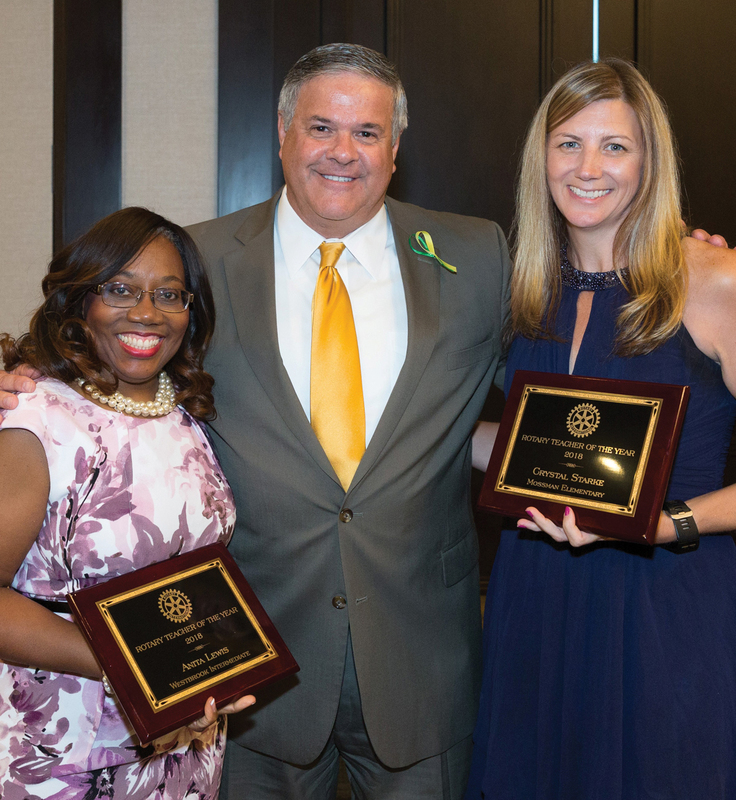 The Rotary Clubs of Space Center, Seabrook and League City honored the Clear Creek Independent School District’s 44 campus Teachers of the Year at a luncheon at South Shore Habour Resort May 21. During the luncheon, the 2018 CCISD Elementary and Secondary Teachers of the Year were announced from a field of six finalists. This year’s winners are Crystal Stake of Mossman Elementary School and Anita Lewis of Westbrook Intermediate. If I could switch places with someone for just one day, I’d choose: Geddy Lee (bass player for Rush) so I could see what is was like to play in front of 15,000 screaming fans. My favorite meal is: Filet Mignon at Killen’s Steakhouse, with cream corn, sautéed mushrooms, and bread pudding. My favorite movie is: I couldn’t single out one, but three favorite movies I will always watch if they are on (in no particular order) are That Thing You Do, Shawshank Redemption and Dances with Wolves. Few people know: I learned how to “eat fire” as part of my role in the musical “Forever Plaid” at College of the Mainland. 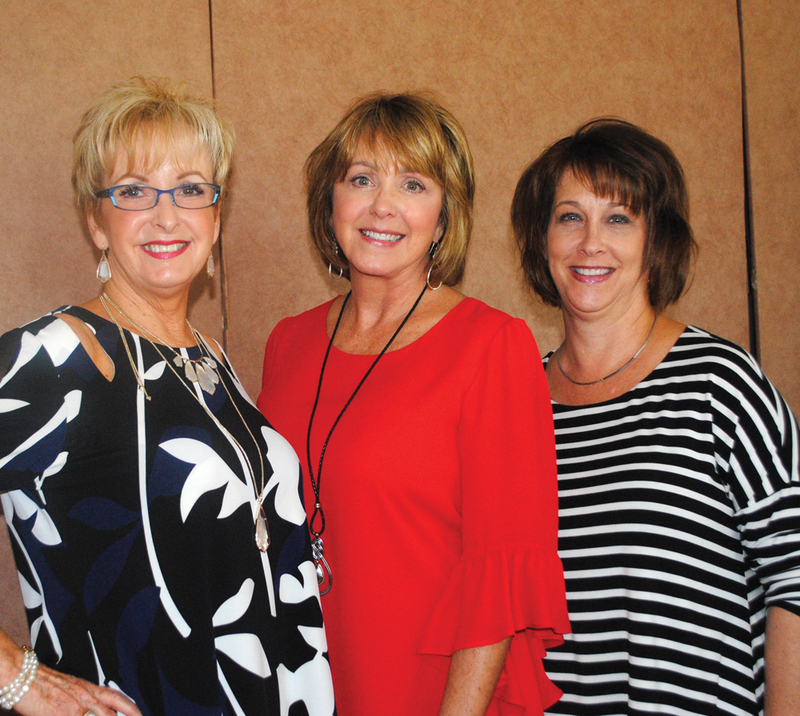 Karen Reed, from left, goes over plans for the Bay Oaks Women’s Association style show with Sandy Carney and Dorinda Corbett of The Clotheshorse in League City as the crowd begins arriving at the country club. 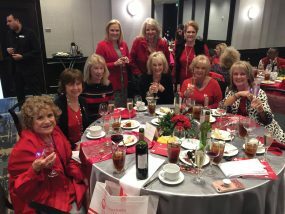 EACH YEAR the Bay Oaks Women’s Association begins the new season with a fashion show luncheon, so members can catch up on all their friends’ summer news and be up to date on the latest fall fashions. 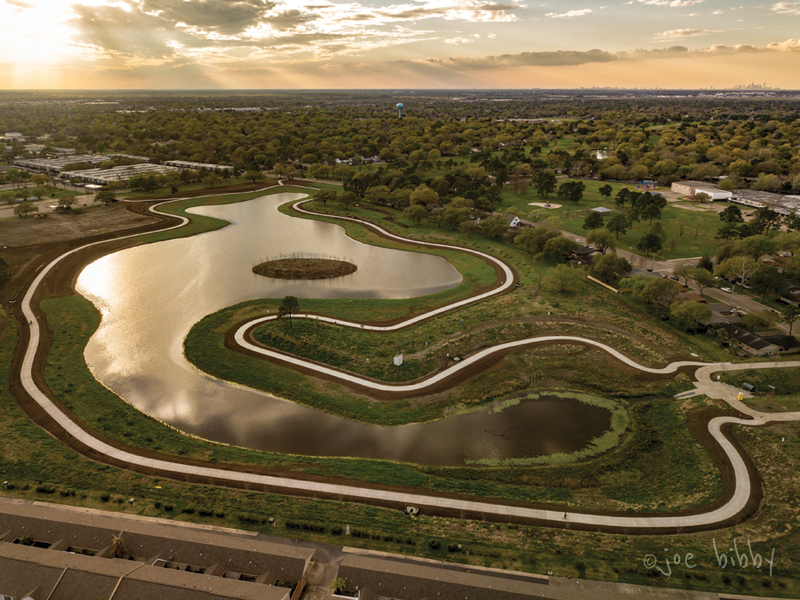 This year, however, board members considered canceling it, wondering if it would be appropriate with so much suffering in nearby communities because of Hurricane Harvey. While debating it, they learned that several country club employees were among Harvey’s victims, and decided to turn it into a fundraiser to help those employees get back on their feet. And, afterward, most seemed happy to get some normalcy back in their lives. President Jodi Schnabel, who brought Tori Bogle as her guest, was there to greet the arriving crowd that included Jackie Daley, Sandy Lantz, Emmeline Dodd, Marilyn Lunney, Gloria Cruz, Susan McCoy, Angela Swint, Sue Broughton, Cindy Zook, Janine Hoefnagles, and Darla McKitrick. 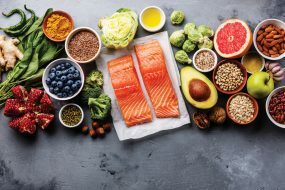 Followed shortly thereafter by Sharon Dillard, Amy Roppolo, Ruth Beecher, Dee Wolfe, Lynn Stovall, Glenna Crist, Debbie Roan, Sue Laabs, Karen Reed, Linda Fincher, Beverly Braden and Pam Clary. 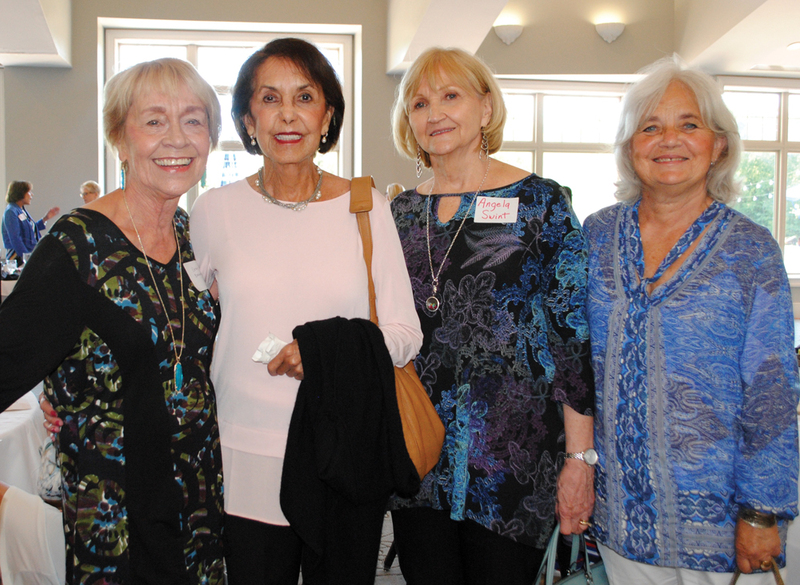 Kathy Braeuer, from left, visits with Gloria Cruz, Angela Swint and Sandi Wiemer during the Bay Oaks Women’s Association Fall Fashion Show Luncheon to launch BOWA’s fall season. Before long, it was time for the fashion show that featured the latest styles from The Clotheshorse in League City introduced by Sandy Carney and Dorinda Corbett and modeled by Judie Ferguson, Dee Wolfe, Mary Colombo, Jodi Schnabel, Chris Howland, Melissa McKinnie, Priscilla Ennis and Kathryn Robinson – much to the delight of Trisha Gunn, Bobby Moutz, Susan Franklin, Lisa Kaczmarek, Ann Dooley, Laura Jardine, Linda Herzfeld, Jane Dannecker and Marie Counts Bradley. Still others bringing guests were Karen Gandy with Jennifer Carlisle, Lynn Brannnan with Barbara Kimball, Mary Smith with Donna Jerz, Mary Russell with Beverly Stroud, Virginia Hosea with Carrie Lee and Mary Ellen Vail, and Bridgid McVaugh, who had Cornelia Kiessling as her guest. 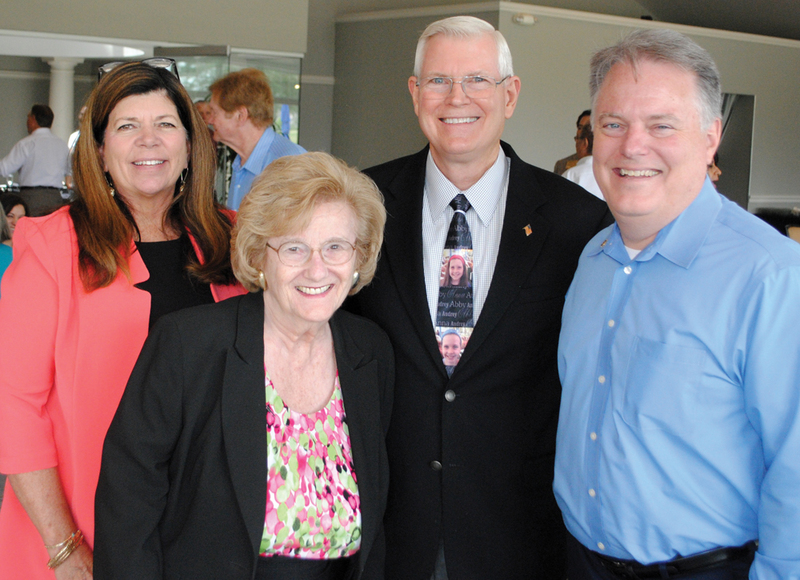 Retired Johnson Space Center Director Mike Coats, center, gets a warm welcome from Rotary President Ralph Kramer and Rotarians Kippy Caraway, far left, and Mary Alys Cherry as he arrives at Bay Oaks Country Club to address the club. 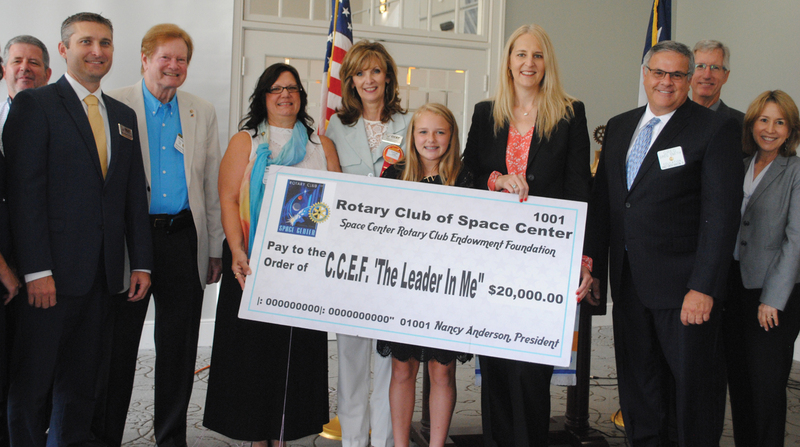 SPACE CENTER ROTARY is off to a great start to its new club year with two well known speakers and a new set of officers. 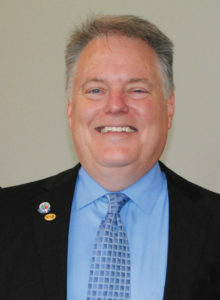 Banker Ralph Kramer is the club’s new president, following aerospace executive Daryl Smith, who passed the gavel at the beginning of the new Rotary year. Other officers are President-elect Nancy Anderson, Secretary Michael Porterfield, Treasurer Raymond Moore and Sgt.-at-Arms Michael Thomas. Mike Coats, the retired Johnson Space Center director, was the first to address the Rotarians as they began a new year, marveling at all the work done by astronauts and cosmonauts on the International Space Station. “What’s fascinating are the long stays in space,” he said. “There is a tremendous amount of research done on the space station. At any one time, astronauts are conducting 150 different experiments,” he said, noting that the ISS had been designated a national laboratory by Congress. Before Harvey, we were all enjoying life. 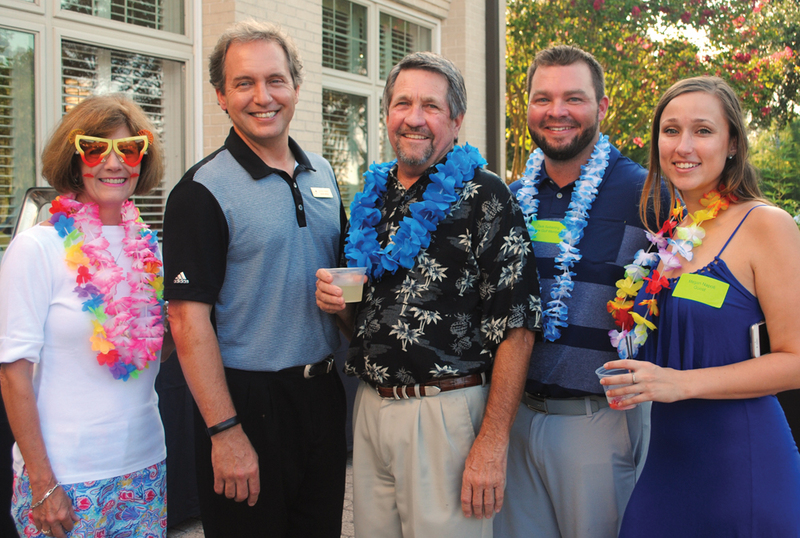 Here, Bay Oaks Country Club General Manager Stephen Morris, second from the left, welcomes, from left, Yvonne Perrin, Perry Laabs, Zack Seiberling and Megan Napoli to the Margaritaville new member mixer the club hosted during the summer. But while he is fascinated with the work on the ISS, he was equally frustrated at all we have to pay the Russians to carry astronauts into space – “$80 million a flight. 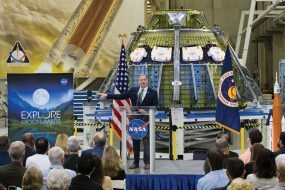 Half a billion a year!” And, he added, “I’m excited that next year sometime we’ll have two spacecraft flying (from the U.S.) at a cost of about $200,000 per flight to the ISS.” He also expressed hope the Space Council, revived by President Trump, will provide a clear direction for NASA. Santiago Mendoza, the senior vice president of Bay Area Regional Medical Center, brought the Rotarians back to Earth the next week as he described the hospital’s work and accomplishments as it focuses on healness and wellness, and continues to expand and grow. 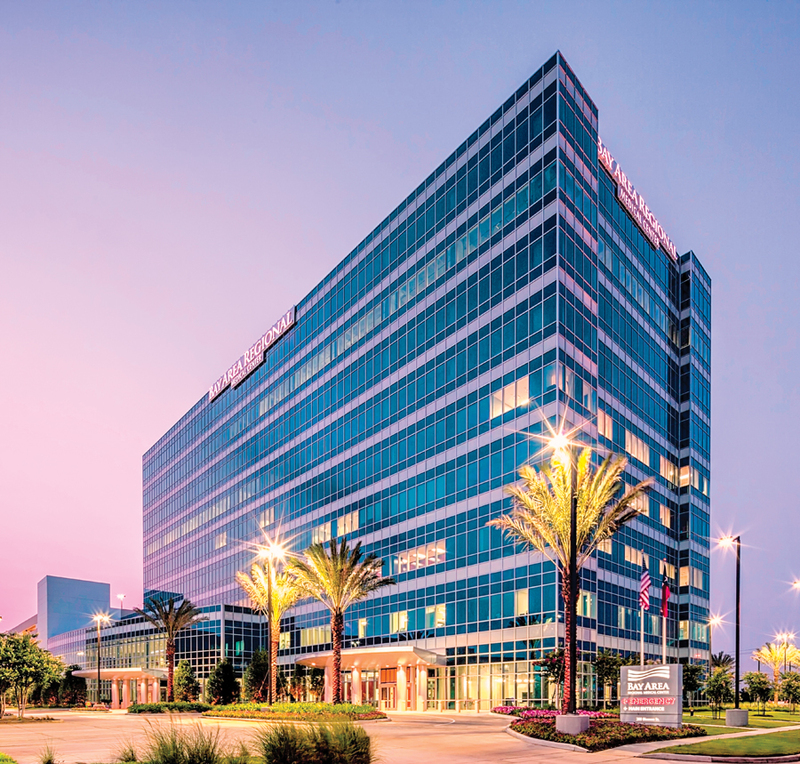 After giving a rundown of the hospital’s various attributes – 191 beds, 8 operating suites, 4 cardiac cath labs, a full service emergency room, 23 treatment rooms, 4 trauma rooms, plus a new women’s center, he pointed out that its just-opened Heart and Vascular Center is one of only five in Texas, and it recently was awarded a Certificate of Excellence in Surgery.